Sometimes, the best way to understand something is to look at its history. How does anything become a part of our everyday lives? Was there a single event or a series of circumstances that led to the reliance most of us have for our credit cards? As it happens, there were a few reasons plastic became the currency of choice in America. A look back at a remarkable and in-depth piece published in Life magazine in 1970 tells the tale and more importantly, it provides an ideal backdrop against our mindsets in a current society. In the late 1960s, bankers began noticing a trend in its customers spending habits. They were using their new credit cards increasingly more often than cash. 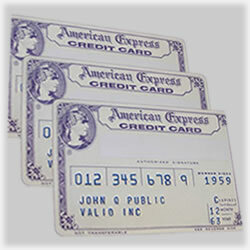 As a result, the banking industry as whole began issuing more credit cards each year. Many believed the end of the Vietnam War had something to do with this new sense of security; and they were partly right. One hundred million credit cards were mailed out to customers in 1970 alone. The interesting part of this statistic is these cards arrived in mail boxes to customers who did not apply for them. Life and its writers took an interest and then took a comprehensive look at the credit card industry as a whole. One thing that stands out in this article is the incredulous attitude many had when they discovered the interest they were paying was around 18%. Sounds good, considering recent news of one credit card charging nearly 80% APR, right? As the journalist who wrote the piece said, “…each recipient was offered not only a handful of instant cash, but a dreamy method of buying by signature after the lettuce runs out”. That was an apt description, even if it was quickly straightened out. It wasn’t that the bankers trusted those one million proud new owners of their credit cards, but rather, they had faith in the collection methods for those who chose not to pay. As the journalist wrote, “He (the banker) will put us on the hot list in a flash if we go broke in the process or try to support the mistress at his expense”. The banks didn’t always have the upper hand, however. The Time piece retells the story of the mid-1960s, when the banks made the grave error in assuming everyone had a sense of financial nobility and would repay their debts. Unfortunately, they learned too soon that theft and irresponsibility ribbons through the most unexpected souls. This, coupled with complaints of invasions of privacy that occurred when credit cards began appearing in mail boxes could have easily turned the tide and resulted in a different outcome, one that we today experience. Perhaps it was a mindset of “it will all straighten itself out with time”, or maybe some other misguided faith that the good in everyone would eventually win out. Either way, those assumptions were wrong and only led to even more problems, including white collar crime via first the mafia and eventually, Wall Street. Bankruptcies began increasing, parents began teaching their college students to steer clear of the endless credit card offers and couples began fighting over money that there never seemed to be enough of now that payments were being made one two, three or more credit cards each month. Of course, this isn’t always the situation. The availability of credit has opened many doors and allowed new options that our grandparents never knew. There’s a freedom and a sense of power in knowing most material things can easily be purchased with our credit cards. Suddenly, an unexpected car repair doesn’t mean we miss three days of work anymore. A half day, at most, and the car’s repaired, the repairman is paid and it’s off our minds until the end of the month. And we’re doing much better educating the next generation the importance of that power and the responsibility each has every time he swipes his Visa or MasterCard. In the end, this is surely what those initial bankers had in mind, even if their mass mailouts were a bit misguided. These days, we don’t worry so much about an unexpected windfall courtesy of our bank and postal carrier. If we want it, we take steps to secure it and then once we have it, we treat it the way it was always meant to be: like cash – valuable, important and with a sense of duty to account for all of it.